Jennie Boisvert - Councillor for Clarence Park Ward: 3,000,000 planning problems! Last month in State Parliament, the Liberals backflipped on a key election promise and voted with the Labor Government to strip inner Metro Councils of responsibility for assessing multi-story apartments. Before the election, the Liberals promised to return these planning powers to Councils - but at the last minute, they voted against a Greens Motion that did just that! They were joined by Labor, Family First and the Xenophon Group. Now, the Government has pushed through even more Regulations to side-line local communities and local government. Now, local Councils can be side-lined over ANY development worth more than $3m in ANY Council area. 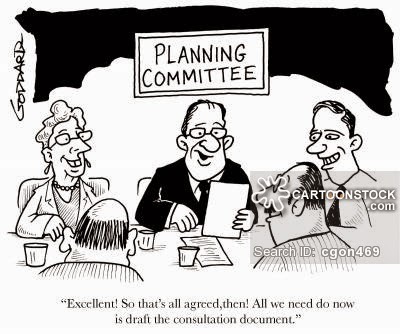 What’s particularly frustrating about the Government’s crusade against local Councils is that it happened during the consultation phase of the Government’s own “Expert Panel on Planning Reform”. Rather than wait for the outcome of the Review, the Government is already busy re-writing the planning law book without consultation with Councils or local communities. It’s just an insult to everyone involved. Once again, the Greens have a motion before Parliament to “disallow” the Regulations and put the brakes on this unwarranted power grab by the Government. Now, it’s over to you to tell Members of Parliament that you expect “consult and decide”, not “announce and defend”. Please share and sign our online petition to let MPs know you want a planning system that reflects the aspirations of the whole community, not just the property development industry and big end of town. There’s room to add your own comments on the petition page as well. If I receive your response by Friday 7th November, I’ll raise your concerns in my speech in Parliament on Wednesday 12th November before the vote on the Motion which will be on Wednesday 19th November.